In 1926 John Logie Baird gave the first public demonstration of television; Route 66 was established between Chicago and Los Angeles; and Agatha Christie mysteriously disappeared for 11 days. Meanwhile, the whisky-makers at The Macallan Distillery on Speyside in Scotland filled cask no. 263 — which had begun its life in Jerez de la Frontera in Spain — with clear, ‘new make’ spirit from one of its famous ‘Curiously Small Stills’. Then they left it, and they waited for the Spanish oak — which had been ‘seasoned’ with Oloroso sherry — to work its magic. Those whisky-makers may no longer be with us but, 92 years later, the spirit remains. In 1986, after six decades of maturation, The Macallan’s master distiller decided that this particular elixir had reached its zenith, and it was bottled, with appropriate reverence, into 40 bottles. 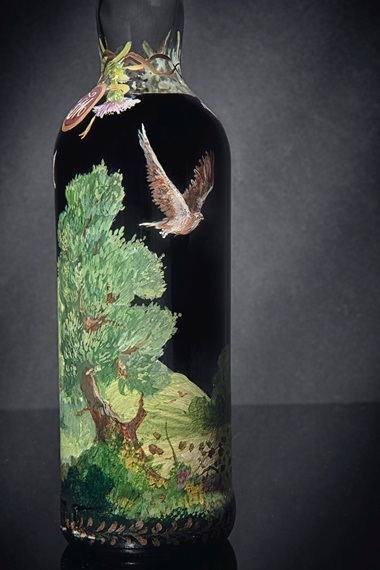 One of those bottles — uniquely hand-painted by the Irish artist Michael Dillon — is to be offered in Christie’s Finest & Rarest Wines & Spirits sale on 29 November in London. The bottles with labels designed by Peter Blake were released in 1989, and the Valerio Adami bottles in 1993. The remaining bottles joined The Macallan’s Fine & Rare Collection. 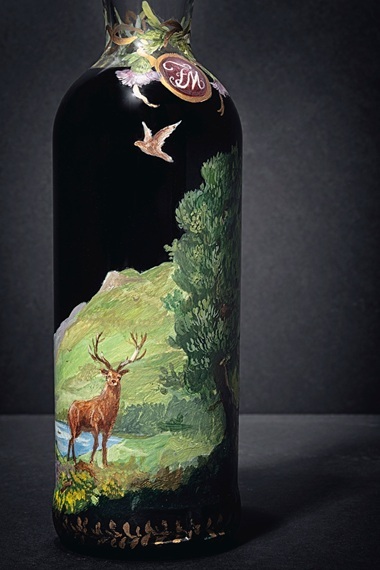 Whoever acquires this bottle — beautifully illustrated with Dillon’s depiction of The Macallan’s historic home, Easter Elchies House, built in 1700 — will therefore have a tough decision to make: bank on it as an investment… or drink it.